A hybrid cafe and pizza parlor has opened its doors in Lower Nob Hill. Located in the former Cybelle's Pizza space at 1000 Bush St. (at Jones Street), the newcomer is called Gusto Pinsa Romana. 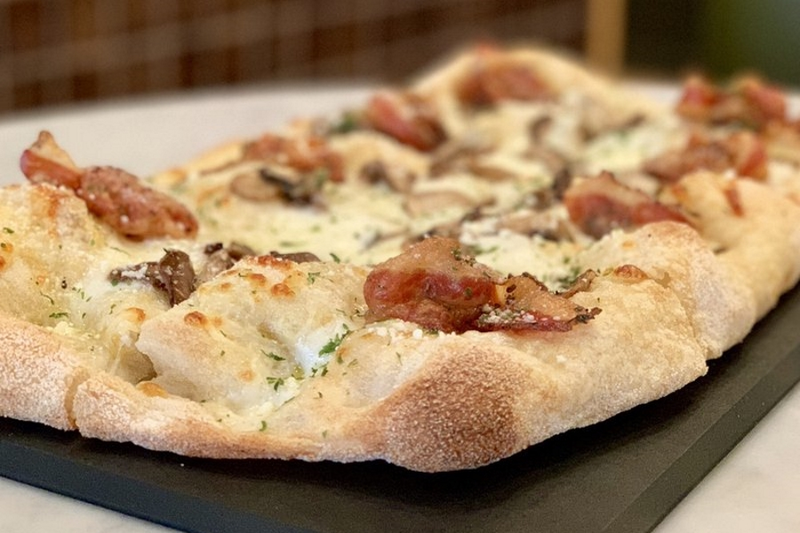 The new spot boasts salads and Roman-style flatbreads that come in a variety of options, from Quattro Formaggio (mozzarella, white cheddar, gorgonzola cheese, grana padano, n'duja and parsley) to Salame (buffalo mozzarella, arugula, salame and artichokes). Intrigued? Stop in to try it for yourself. Gusto Pinsa Romana's cafe is open daily from 7 a.m.-2 p.m., while the pinsa parlor offers dinner fare from 4:30-10 p.m. Sunday-Thursday and 4:30 p.m.-11 p.m. on Friday and Saturday.